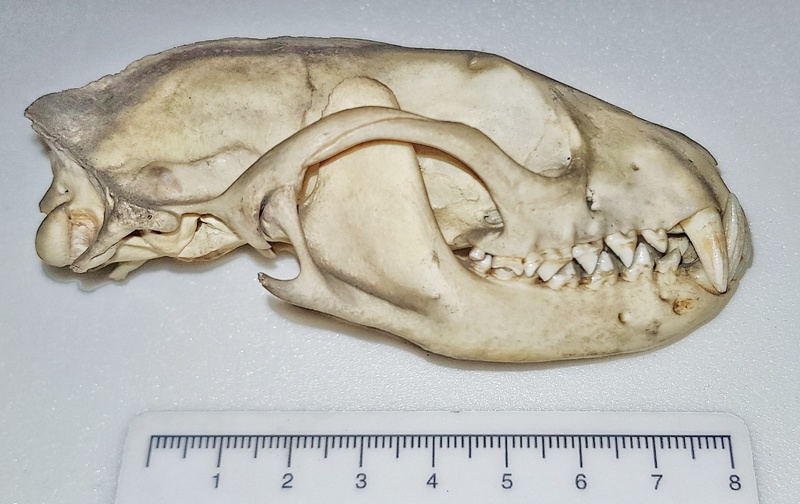 If you’re a regular follower of Zygoma then you may have seen some of my previous posts talking about the skulls of the various smallish carnivores like mongooses, mustelids and viverrids. Generally though, mongooses have a more domed region above the eyes, while mustelids have a shorter snout, so this is most likely one of the viverrids. 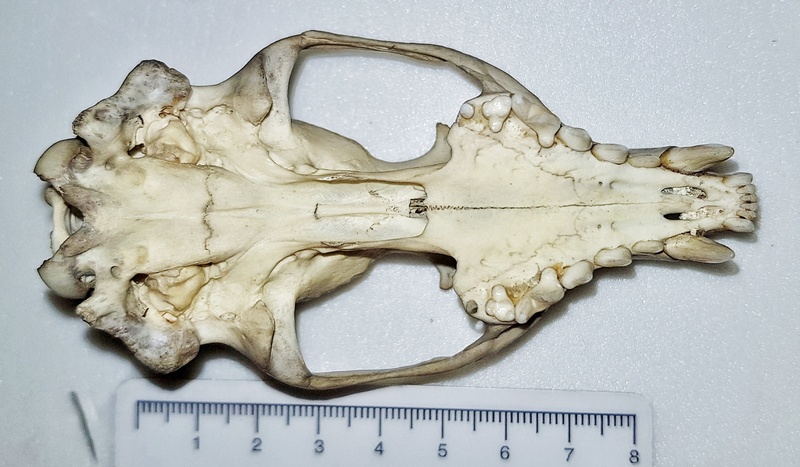 It’s a difficult one to get down to species, since it’s from a group of carnivores that have have a fairly uniform skull shape, so it takes some detailed investigation to work out exactly what we’re dealing with. However, as I have talked about before (and as palfreyman1414 remembered), there’s a very helpful identification guide developed by some French researchers which summarises some of the most useful characters to use in identification. Most useful to my mind is the matrix of characters that allows you to narrow down the possibilities until you’re left with the most likely species (watch out, the security certificate has expired). Once you’re down to a few possibilities based on those specific characters it can help to check the specimen images on the Animal Diversity Web which lets you get a better idea of overall shape and things like tooth form. The reduced upper second molar (or M2) and the shape of the M1 in this specimen from the Grant Museum of Zoology is remarkably similar to the Ulster Museum specimen and it turns out it’s also from a species that made it to my shortlist using the matrix. 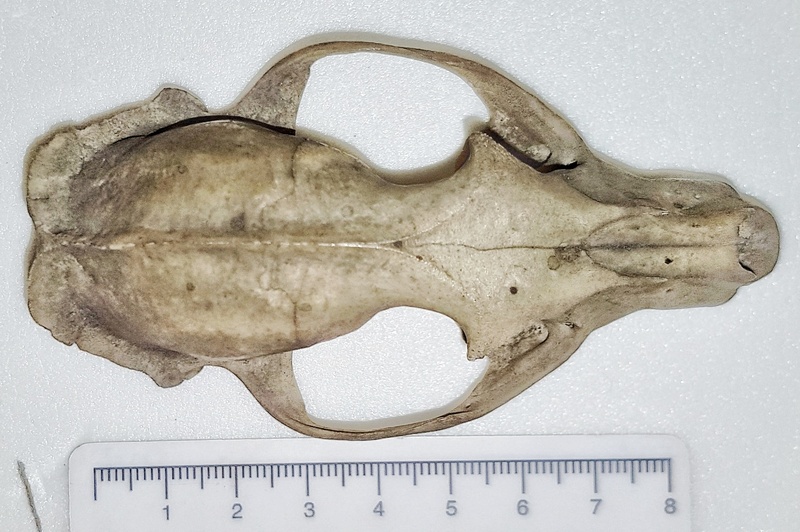 So I’m fairly sure that this is an Abyssinian Genet Genetta abyssinica (Rüppell, 1836). That’s very close. And those scans show the similarity in their skulls.